About 60 years. My two siblings are also longtime Oakville residents. I grew up in Bronte. I lived on Hixon St.
Where did you go to Elementary school in Bronte? Centriller Public School and then Eastview Public School. Centriller is no longer there. Can you describe what Bronte was like when you were growing up? Bronte was a little village. There was a very nice community feel. Everyone knew each other or of each other. We had our own little grocery store and postal office. 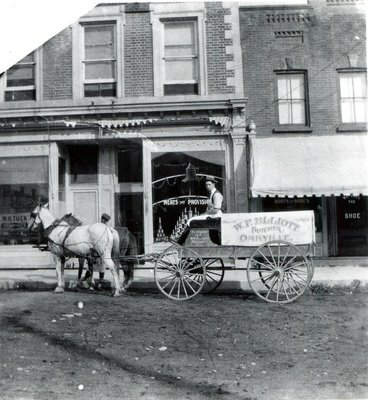 My aunt had a dry goods store on Bronte Rd. There was also a motel where Bronte Village Mall is now. At that time, Bronte went no further than Rebecca St. to the north. North of that, it was all farmland. 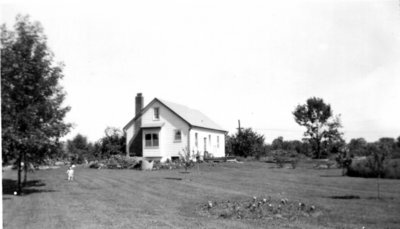 Cudmore’s Farm was considered the West boundary. The Bronte Athletic Field was considered the East boundary. To drive along Hwy 5 was considered a country drive. What is your favourite childhood memory of Bronte? The lake. In the summertime, kids would go down to Sandy Beach, now called Bronte Beach. It was on the west side of the pier. We would have a lot of fun, playing there all day. We were very lucky to be so close to the lake. In the winter, we would go skating on 12 Mile Creek. That was fun too. How has Bronte changed in your lifetime? Now it is much bigger. There are many more stores and businesses. The motel is long gone. All of the old century homes also located on Lakeshore Rd. are now gone. The waterfront has also changed. 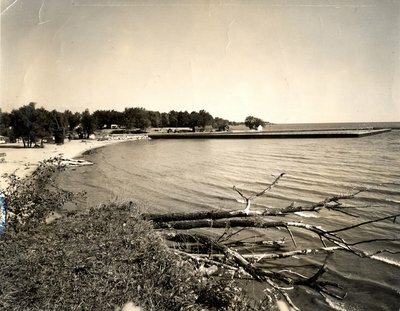 When I was a kid, Ontario St. was only separated from the lake by some grass and some large stones on the shore. The shore on the east side of the pier, called Stoney Beach for all the rocks, was extended further out into the water and now accommodates the Marina. Butterfly Park is also new. How did your family come to settle in Bronte? My grandfather lived in the area after the Depression. My father was born on a farm in Trafalgar Township (Third Ln/Dundas). My mother was a war bride from England. My father and mother were married in Kent, England in 1943. Afterwards, my father went back to the War, and my mother, along with numerous other war brides, left England on a ship bound for Canada. My father’s family was already settled here on Sovereign St., so she stayed with them until my father came back to Canada after the War. 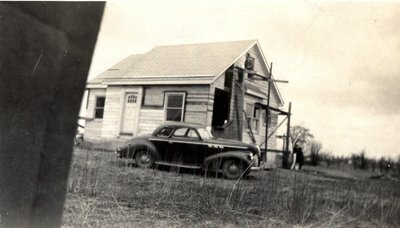 My father, my uncle, and my grandfather built their house – the one I grew up in. It was a small one storey house, on a large corner-lot property. They lived in that house their whole married life. Unfortunately, it’s no longer there. At one point, my grandfather owned an entire block - Jones St. to Nelson St. (West/East) and Hixon St. to Belyea St.(North/South). He wanted to build a house on a corner lot for my grandmother. My father and uncle also got corner lots. They both had diagonal driveways on their properties that connected to two streets. It was very unique. Do you have any family stories in which Bronte played a special part? 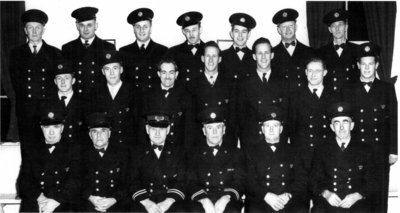 In the 1950s and 60s, Bronte had a volunteer fire department and my dad was the Deputy Chief. There was a big siren on top of a pole, and when a call came in for a fire, the siren would go off to let all the volunteers know that they were needed and they would get to the station from all over the village. Because my dad was the Deputy Chief, a special box was installed on our home phone so we could switch on the siren. It had a unique ring. My siblings and I were not allowed to answer the fire calls until we were older. When we were allowed to answer those calls, we would take down the information and then switch on the siren. It was quite a feeling of power to be able to switch on the siren. Do you have any stories about how historical events affected your family and the Bronte community? 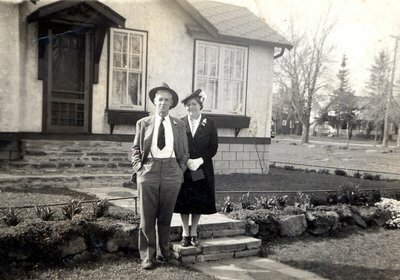 My father told me that during the Great Depression in the 1930s, my grandfather tried to get work however he could. He was a farmer and a carpenter, but also a butcher. During the Depression, he would walk to another farm to butcher an animal and would accept flour as payment. It was a difficult time for the community as a whole. Can you share something about Bronte that a lot of people probably don’t know? Have you heard of the Toronto Star Fresh Air Fund? It was a charitable program that sent inner city kids on a vacation outside of Toronto, where, in the summer, temperatures could be sweltering. One of those vacation spots was Bronte. 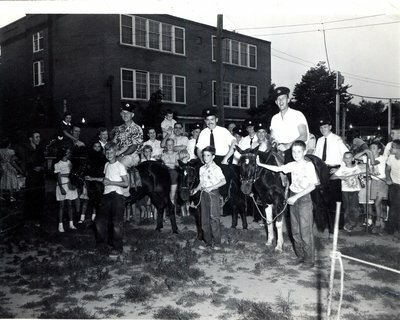 There was a camp called the Toronto City Mission, located on Bronte Rd. just north of Lakeshore Rd. We would see the kids walking around town and at the beach, and think to ourselves “who’d want to go on vacation in Bronte?” I think we were always aware of how great Bronte was, but as we got older we really came to appreciate just how lucky we were to grow up there. The house on Hixon St.
Ontario St. at Nelson St.